Richard Page is a Cardiff based photographic artist whose work explores the relationship between landscape and anxiety. Specifically interested in the documentary landscape and the representation of place, Page’s work considers how space is psychologically bound up with history and memory. Richard Page was recipient of the Jerwood Photography Award in 2004, and his work has been exhibited throughout Britain and abroad, including shows at; The Oriel Mostyn, Llandudno; Chapter Arts Centre, Cardiff; Open Eye Gallery, Liverpool; the Jerwood Space, London; and Focal Point Gallery in Southend. 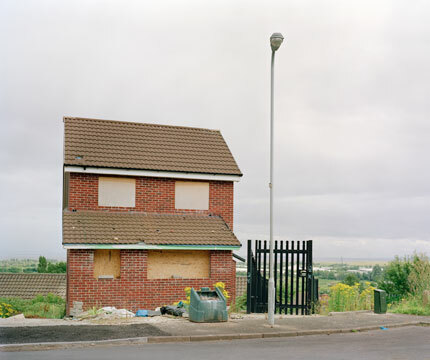 His series, What We Already Know, was exhibited at Ffotogallery, Cardiff to coincide with the publication of a hardback artists’ monograph in 2007. Other publications include; New Light (Edinburgh: Portfolio, 2009); Unreliable Truths (Swansea: Glynn Vivian, 2008); Ha Ha (Cardiff: Ffotogallery, 2002); Landscapes for the Tryweryn Valley (Wrexham: Arts Centre, 2000). His work has previously been featured in, the Guardian, the Independent, Source, Portfolio magazine, Artist’s Newsletter, and Royal Academy magazine. Richard is currently a Senior Lecturer in Photography and Programme Director of Contextual Studies at Swansea Metropolitan University.